Rich Jones is the CEO/COO for FAVOR Greenville offers new hope to individuals and families suffering with substance use disorders. Rich brings skills across multiple domains, including mental health services, substance use disorder treatment, and recovery support services. 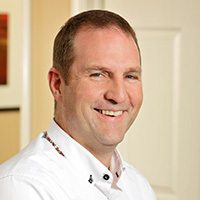 Prior to joining FAVOR, Rich was the Director of Community Recovery Residences for Western North Carolina and Upstate South Carolina for Pavillon Treatment Center. He received his B.S. in Business Management at St. Vincent College, his MA in Sociology with concentration in Addiction Studies at Indiana University of Pennsylvania, and his MBA with a concentration in Healthcare Management at the University of Scranton.